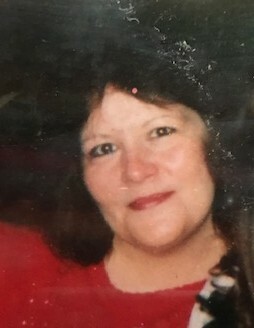 Debra ‘Debbie’ K. Inlow, age 59, of Sabina, passed unexpectedly on Friday, March 22, 2019. She was born in Adams County on March 8, 1960. Debbie was a Hillsboro High School graduate. She worked at Twist, Pennant Molding and American Tool. She leaves behind her husband, Ronald ‘Ronnie’ Inlow. Also left to cherish her memory are daughters: Christina Inlow of South Bend, IN, and Amber (Earl) Adams of Troy; step daughter, Rona (Bobby) McCandless of South Bend, IN; grandchildren: Garrett, Lexie, Cameron, Brianna, and Arrayah; great grandchildren: Addia and Braxton; siblings: Jimmy, David, Bill, Tonya, and Judy; and very special friend, Kathy Anschutz. Debbie was preceded in death by a sister, Linda, and brothers: Pete and Steve. Memorial contributions are suggested to the Clinton County Humane Society. At this time, there will be no services; Littleton Funeral Home, Sabina, has been entrusted with arrangements.